As you age, you can't avoid gaining some belly fat and you won't be able to lose all of it, but you can minimize its appearance and its negative health effects with lifestyle and dietary interventions. To prevent weight gain with your slowing metabolism, you need to reduce your daily caloric intake by about 100 calories every 10 years after age 40. So, at 60 or older, you should consume at least 200 fewer calories every day than when you were in your 30s. 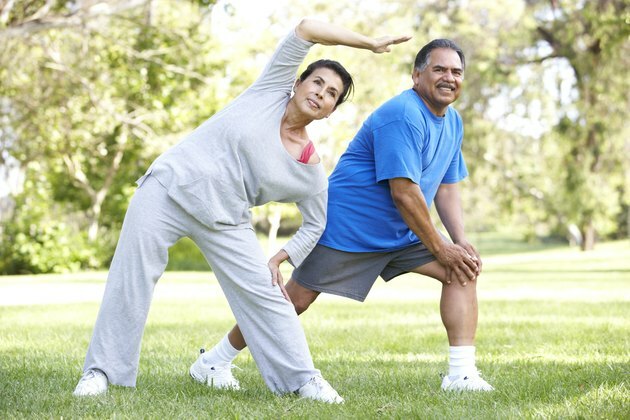 Consider other ways you can be more active every day. Take the stairs, park farther out in the parking lot, pace while you're on the phone, walk your dog twice a day and play actively with your grandchildren. These small changes enable you to burn a greater number of calories all day, promoting faster weight loss.